Bjork stunned fans at the Iceland Airwaves festival on Friday (November 6) after pulling the plug on a headlining performance at the event earlier this year. The nominations for the 27th annual Pollstar Awards have been announced with Foo Fighters, U2 and the Grateful Dead all up in the two major categories. 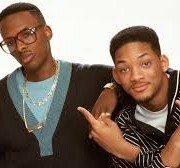 Will Smith has confirmed that he will be going out on the road with DJ Jazzy Jeff. A representative for Gwen Stefani has confirmed Gwen is dating fellow The Voice co-star Blake Shelton. 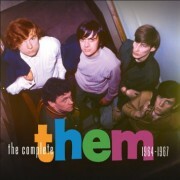 Legacy Recordings is continuing their Van Morrison reissue campaign with the release of The Complete Them 1964-1967 on December 4. ZZ Top's Billy Gibbons has released his first solo album, Perfectamundo, and beginning January 20, Gibbons will play a short tour of thirteen dates in the East Coast of the USA. Ross Hannaford has had a tough year while he fights a hideous disease but the remarkable Hanna when faced with a potential end has found a new beginning. 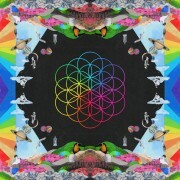 Coldplay have just slipped a brand new song 'Adventures of a Lifetime' to fans. 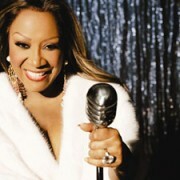 Patti LaBelle is teaming up with the American Lung Association to raise awareness about lung cancer after losing two of her sisters to the disease. 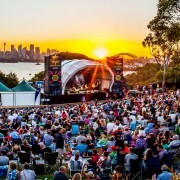 The Twilight At Taronga shows at Sydney's Taronga Park Zoo are turning in one of summer's hottest tickets. 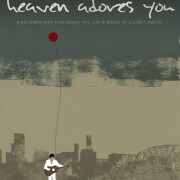 The story of Elliott Smith will be told in the new movie ‘Heaven Adores You’. Skyhooks' founder and principal songwriter Greg Macainsh gave an in-depth interview about the band to Noise11 this week and you can hear the interview on iHeartRadio's Noise11 channel. It was very much a night for new artists at the CMA awards Wednesday, with newcomer Chris Stapleton winning Male Vocalist, Album and New Artist of the Year. Fleetwood Mac's Stevie Nicks and Christine McVie have made the Forbes rich list. Noel Gallagher has taken another swipe at Harry Styles, slamming the star for having "nothing to say for himself". Walter Trout received a liver transplant after nearly facing death in 2014. He now feels like a new man and has immense gratitude for his supporters, his donor and the medical community who gave him a second chance at life. 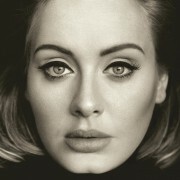 Little Mix, Sara Barielles, Bob Dylan, Seal, CeeLo Green, Natalie Merchant, Ellie Goulding, Tim McGraw, Birds of Tokyo, Sarah Blasko, Sam Smith (repacked), Joe Moore, You Am I and the Ministry of Sound Annual for 2016 lead the week's new music releases. Robert Plant and Alison Krauss are back together, at least for one new song. Archie Roach and Shane Howard will perform their APRA Screen Award nominated song ‘A Secret River’ at the awards in Melbourne next week. Sweden’s The Hives and Australia’s Kingswood have been chosen to open for AC/DC’s Australian tour and played their first show in Sydney on Wednesday (November 4, 2015). Tina Arena is not taking any chances with her career. The international pop star has gone to work as a check-out chick at JB HiFi. Drummer Deen Castronovo has revealed that he is no longer a member of the band Journey. Glenn Frey is facing major surgery for a recurring medical problem, forcing the Eagles to put off accepting the Kennedy Center Honors until 2016. The AC/DC ‘Rock Or Bust’ tour is officially open for business in Australia with the band kicking off the tour where it all began 42 years ago … Sydney. Former Beach Boys legend and co-founder Brian Wilson will perform the band’s classic ‘Pet Sounds’ at Bluesfest in March. Grammy-winning singer Miguel will reportedly make his movie debut in a role for Ben Affleck’s forthcoming film Live by Night. Rihanna reportedly pulled out of performing at the Victoria’s Secret Fashion Show because she wasn’t ready to perform new material. 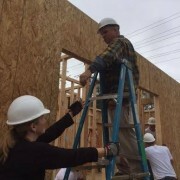 Country music stars Garth Brooks and Trisha Yearwood raised walls on a Habitat for Humanity home today in Memphis, Tennessee, alongside former President Jimmy Carter and former first lady Rosalynn Carter.